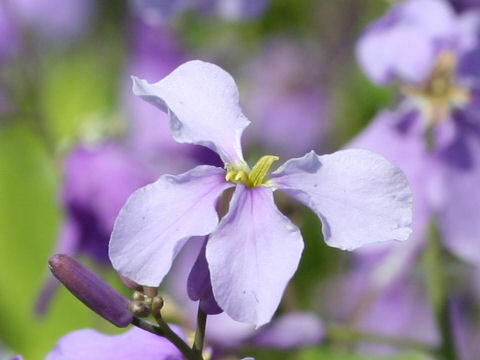 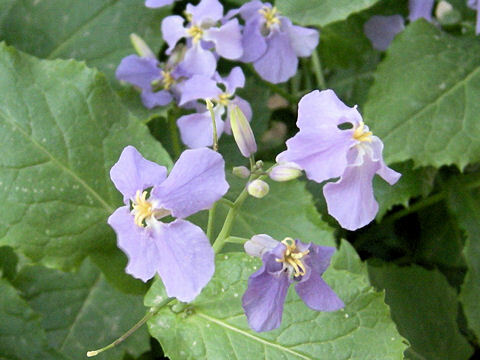 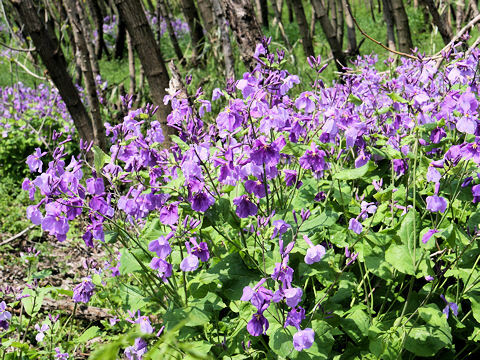 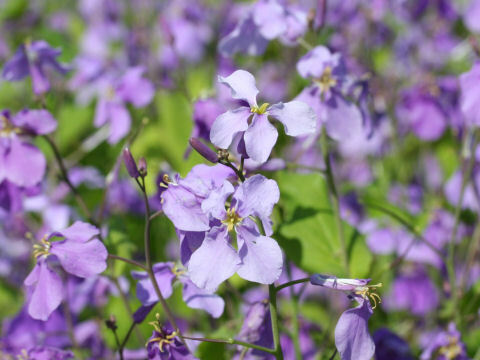 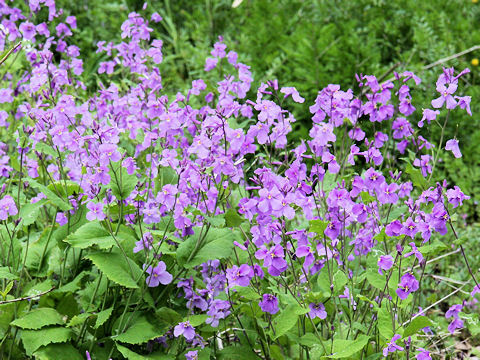 The Chinese violet cress (Orychophragmus violaceus) belongs to the Brassiaceae (the Mustard family). 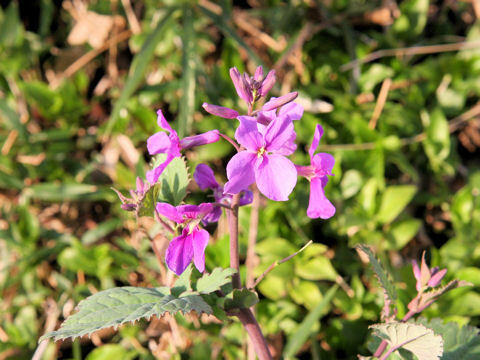 It is a biennial herb that is native to eastern China and the Korean Peninsula. 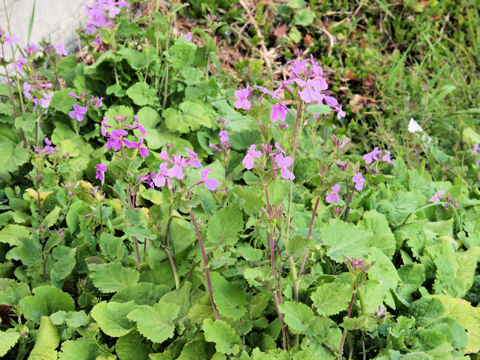 This herb was introduced into Japan in Edo Era (about 270 years ago), and now it is naturalized widely. 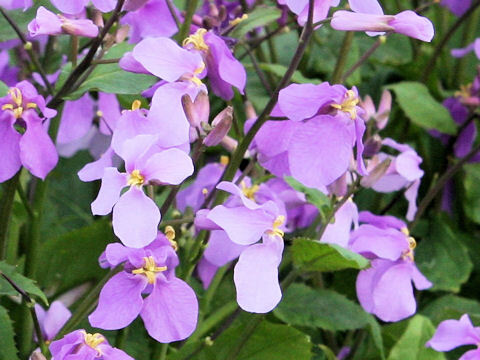 It can reach 30-80 cm in height. 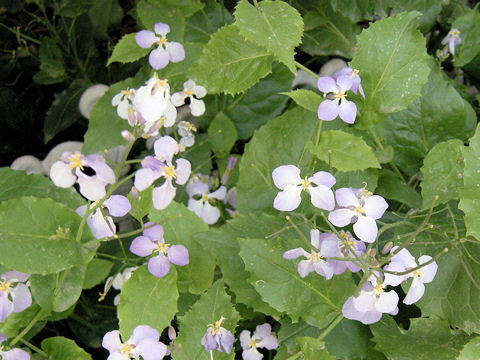 The radical and underpart leaves are divided into lobes pinnately. 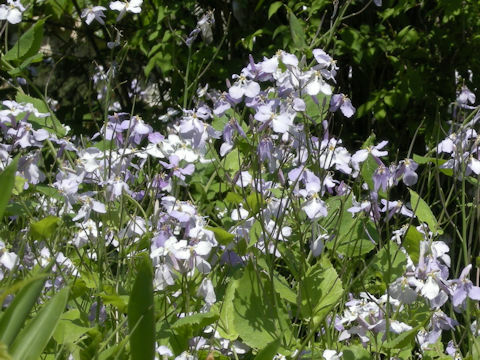 The upperpart leaves enfold stems. 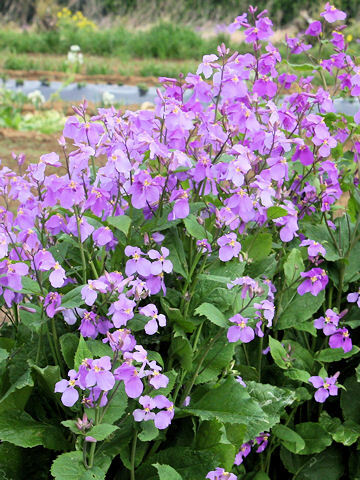 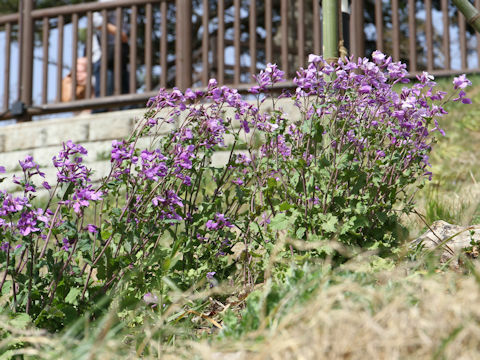 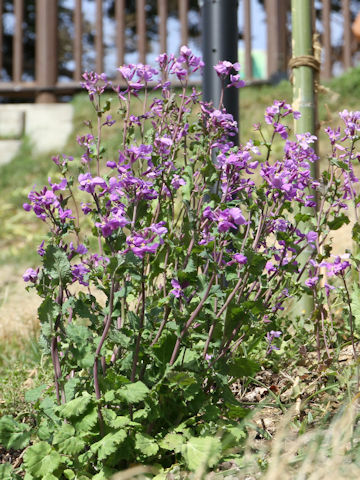 The pale purple to magenta four-petaled flowers come in March to May.